This has been amply demonstrated in our local community in Maryhill, Glasgow, Scotland UK in the last year or so. What a wonderful example The Children’s Wood /North Kelvin Meadow campaign has offered of what can be done to get parents and children out enjoying the Great Outdoors. They truly deserve this award. Readers – you can do your bit, too, wherever you live across the world. Share this post on your networks, folks! Inspire a community (or several) to get outdoors !! We are delighted to be one of the winners of the Greener Together Awards 2014. The Children’s Wood volunteers have been working to help our community to live a greener and more sustainable life. We’ve been encouraging families and the community to get outdoors onto North Kelvin Meadow and The Children’s Wood (in Maryhill/North Kelvin area of Glasgow) all year round! 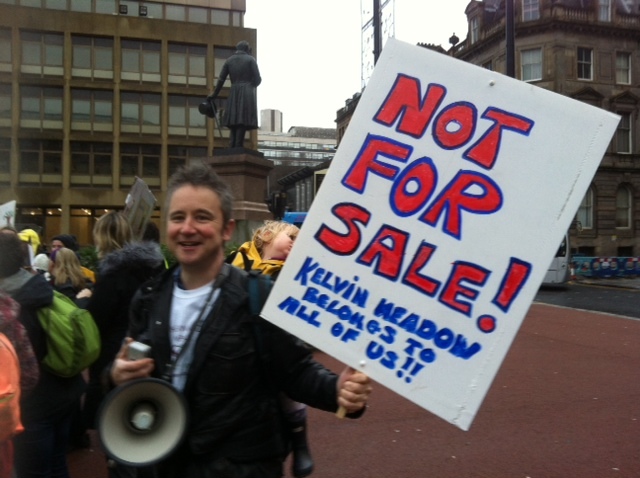 North Kelvin Meadow and The Children’s Wood is a piece of land (roughly 3 acres) in one of the most unequal areas of the UK. The land was previously playing fields and tennis courts and is now a meadow and wood, with over 480 trees. It is a wild space – children can play freely and different groups coexist. Nothing else like it exists in our area. This entry was posted in 02 - New Posts: January 2014 onwards, 03 - Brilliant Posts! - May 2013 on, Healing - the power of Nature (article archive), Health and Wellbeing (article archive) and tagged children and nature, community action, Maryhill Glasgow UK, The Children's Wood campaign, the Great Outdoors. Bookmark the permalink. 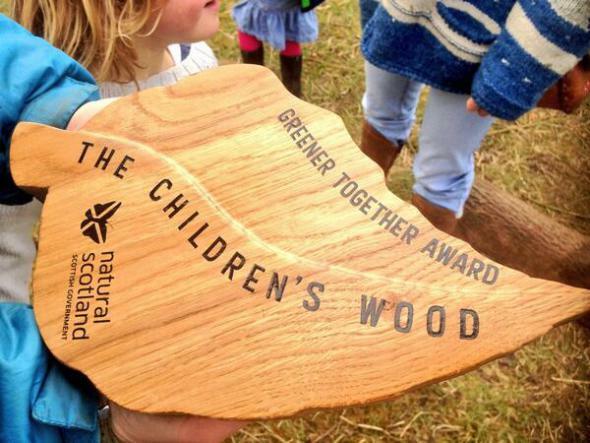 It’s wonderful news about the Children’s Wood getting recognition! I’d certainly have taken my young sons had it been there when I lived in Clouston Street during the 70s. Great work on the part of all who got this to happen – congratulations, and many thanks. Thanks, Jane! Great to get this endorsement from your good self, long moved elsewhere but still with fond memories of Maryhill, Glasgow…. One very interesting line in the linked article, that “Psychologists have found that changing values can positively change behaviour.” It works the other way, too, and sometimes more effectively. Changing behavior — for example, taking children to a park for physical play rather than allowing them to stay indoors and do whatever — can lead them to value what they haven’t experienced before. It’s wonderful to see them getting such recognition — it pleases me so much! And many thanks to you, Linda, for your consistent support of this campaign whose core values, and actions arising therefrom, don’t just have local relevance here in Maryhill, Glasgow, UK, but apply to the wellbeing of children, parents and Nature worldwide. ps. Wow! Succeeded…..can you believe I’ve been blogging for as long as I have, and still have difficulty embedding links in comments? x These are such great pictures….new career in due course?